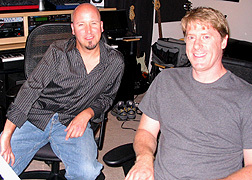 On The Crossing (70'45") David Helpling + Jon Jenkins create a synthetic seventh heaven where the muses of Patrick O'Hearn, Steve Roach and Lanterna play. The 11 tracks on this CD range from the emotionally charged and heroic to the serenity of a more spiritually nuanced mood. The key to this music is in its sonorous breadth. Deep expressive tones provide space for reflection and expose the listener to this work's poignant themes. Reverberant piano notes climb slowly above warm electronic harmonies as a steely echo guitar plays against an icy synthesized pulse. Sultry percussion supports suggestive melodies while slow basslines advance in measured force. 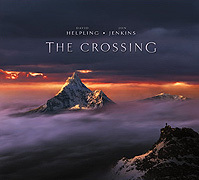 Helpling and Jenkins invent these gently humming atmospheres out of a shared spatial understanding. The Crossing has emerged out of the inscrutable vastness of sound where these two creative streams meet.